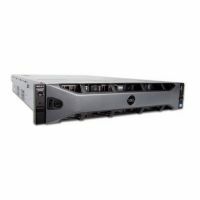 With ultra-dense internal storage, the 2-socket, 2U Dell PowerEdge R720xd rack server is performance balanced for data intensive operations. 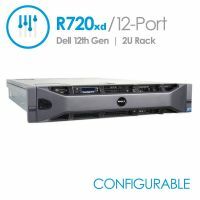 Designed for workloads that are hungry forstorage and I/O performance, like medicalimaging and email servers, the Dell PowerEdge R720xd rack server is a powerful combinationof highly expandable memory, impressive I/O capabilities and extraordinary storage capacity. 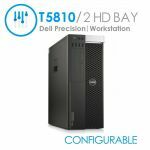 Powered by Intel® Xeon® E5-2600 processors,and reinforced with reliability, availability andserviceability (RAS) features like hot-plug fans,disks and power supply units (PSUs), the R720xd delivers outstanding performance and rock-solidreliability. The R720xd is a great solution for any midsize or large business that requires scalability inboth memory density and storage capacity. Exploit extensive local storage - Quickly access and process vast amounts of data. 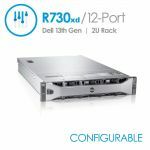 The 2U server offers twenty-four 2.5-inch disks or twelve 3.5-inch disks (plus two 2.5-inch disks in the back of the server), up to 768GB of memory (24 DIMMs) and integrated PCI Express® 3.0-capable expansion slots. Tailor your network fabric - Network features allow you to tailor your network throughput to match your application needs, enabling added I/O performance. Dell Select Network Adapters, our flexible NIC technology, let you choose the right network fabric without using up a valuable PCI slot. You can pick speed, technology, vendorand other options, like switch independent partitioning that lets you share and manage bandwidth on 10GbE connections. Award Winning - Winner of the 2012 CRN Innovators Award, the R720xd shattered performance records of all that had come before. 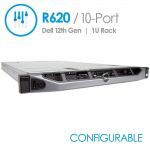 In addition to its ground breaking performance, CRN said it also deliver outstanding value and rock-solid reliability to the enterprise running these systems. 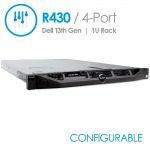 More information can be found on the official Dell PowerEdge R720xd Specs PDF.